The Preventive Cardiovascular Nurses Association has joined with eight other national nursing organizations as a member of the Nursing Collaborative on Climate Challenge and Health. 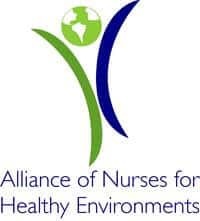 The Nursing Collaborative on Climate Change and Health, formed in partnership with the Alliance of Nurses for Healthy Environments and Climate for Health is focused on building visible nursing leadership across the profession by committing to address climate change as a health imperative. The main goals of the Nursing Collaborative are to elevate climate as a visible health priority, create a climate literate nursing community, engage all stakeholders in connecting climate and health, and to build collective support and action for solutions. Learn more about climate and health and how you can reduce your climate impact with these two resources specific to nurses: Climate and Health Toolkit and Getting Started with Climate Solutions: A Guide for Nurses. With over 3 million registered nurses in the United States, nurses are ideal spokespeople to educate their colleagues on climate and health. Join others across the country by taking part in this inaugural and innovative campaign to get nurses on the map for climate action! If you are interested in becoming a Nurse Climate Champion for the Nurses Climate Challenge, please visit nursesclimatechallenge.org and register today! By addressing climate and health in nursing practice, nurses have the opportunity to help protect health on a global scale. Working together we can make a real difference!